A reception with Dr. Auerbach will precede his lecture at 4 p.m. Physician, author and one of the world’s leading experts in wilderness medicine and emergency medicine, Dr. Paul Auerbach will reveal his findings about the intersection of climate change and human health. 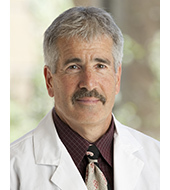 Dr. Auerbach is the Redlich Family Professor in the Department of Emergency Medicine at Stanford University School of Medicine and an adjunct professor of military/emergency medicine at the F. Edward Hébert School of Medicine of the Uniformed Services University of the Health Sciences. He founded the Wilderness Medical Society and was an early proponent of physicians taking an active part in discussions about environmental and global climate change issues. His books include the definitive textbook Wilderness Medicine, Field Guide to Wilderness Medicine, and Medicine for the Outdoors. Sponsored by the WSU School of the Environment with support from the Lane Family Lectureship Endowment in Environmental Science, WSU Environmental Science Club, College of Arts and Sciences, and College of Agricultural, Human, and Natural Resource Sciences. Please see https://environment.wsu.edu for more locations.